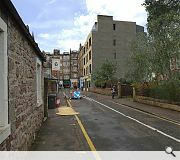 LDN Architects have gone back to the drawing board in their efforts to convince planners to back their bid for a new block of flats in Edinburgh’s Morningside, ditching their previous brick fronted block in favour of a sandstone finish. 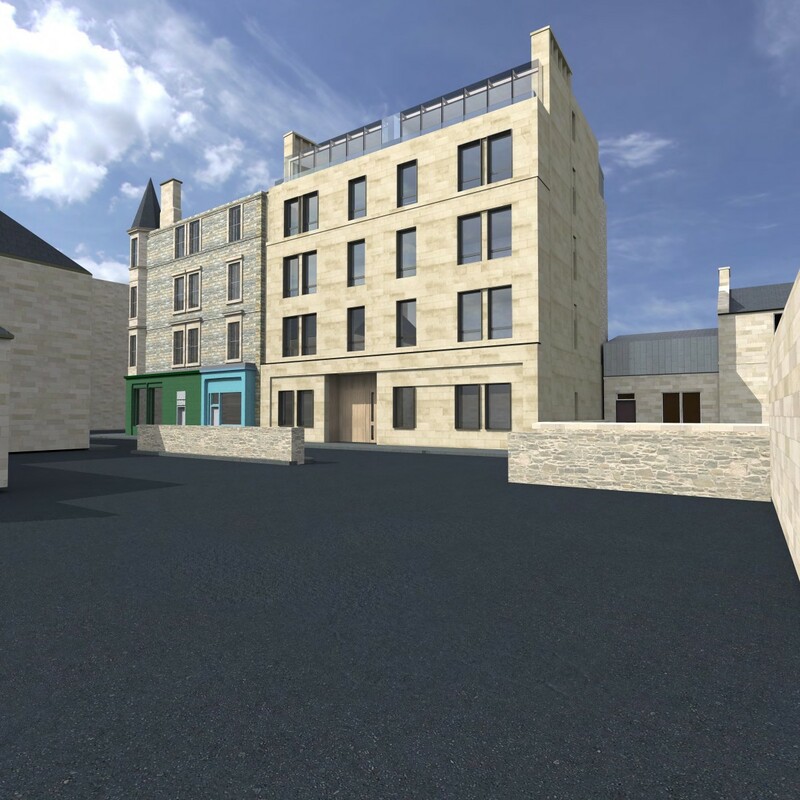 Favouring a path of least resistance, the stone-clad build will include setback zinc cladding panels at high level, satisfying strict design guidance for the conservation area. 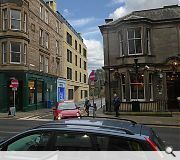 In their justification the architects wrote: “The external walls are proposed to be constructed in stone – this is befitting of the local area and compliant with CEC design guidance. 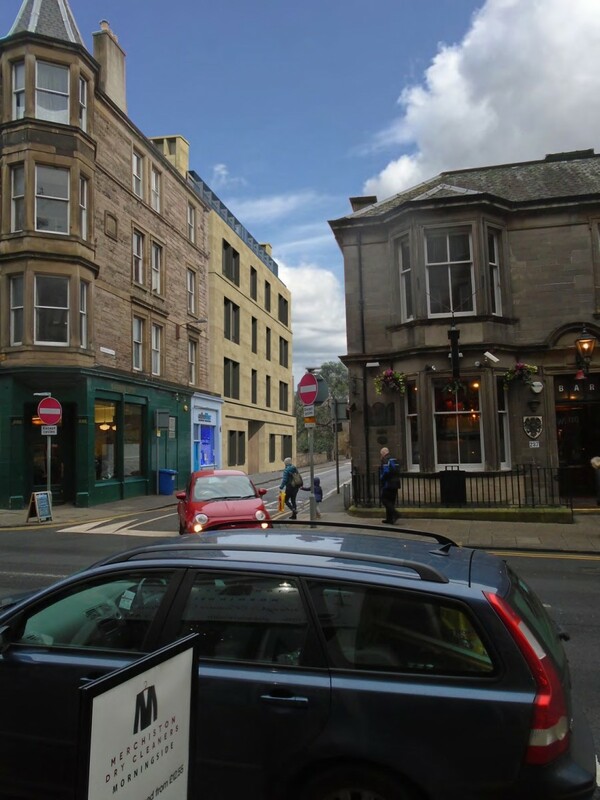 Built to bookend an existing tenement Canaan Lane, on the site of a former public toilet, the revised scheme will also lose one flat from the earlier application. 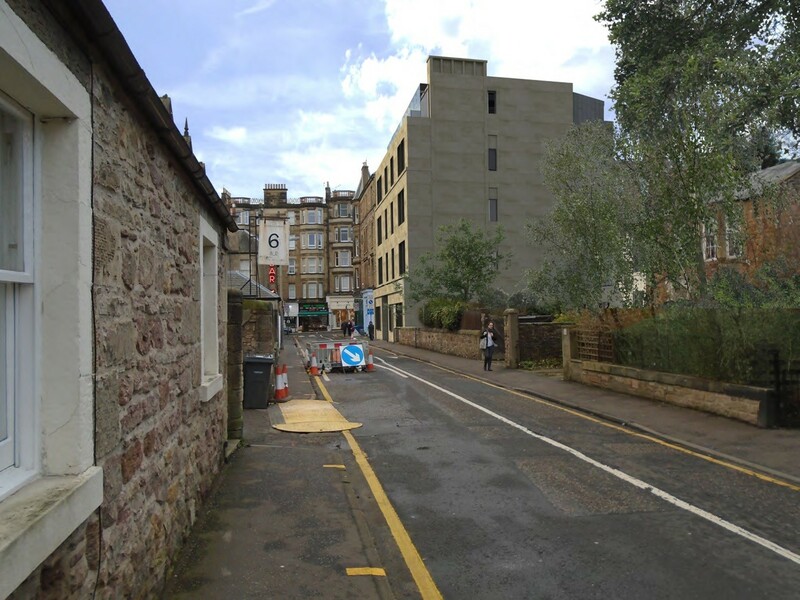 CEC bully architects into using sandstone pastiche architecture shocker... Edinburgh is becoming an architectural caricature ridden wasteland with sanitised and homogenised vanilla designs popping up all over the city. It's so boring. LDN must be gutted with the compromises on this scheme. 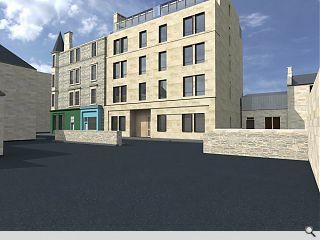 The previous design was interesting and whilst I didn't like the roof profile it added some interest to the streetscape. I wonder if some architectural luminaries like Basil Spence were practicing now they would be hounded out of Edinburgh under this current "design guidance". Having read the legalistic and mind-numbing mechanistic planning report of the appeal, I feel sorry for the person in LDN who had to draw this corpse over and over again. Clearly, after a year and it hit the buffers, someone gave the instruction to just give the planners what they arbitrarily wanted (under the guise of policy). So, whoever you are in LDN, I salute you! In a wider context, it is noticeable where economic tourist dollahs are wanted in the form of hotel beds and student residential beds that planning policy on surrounding character is obviously waived. Would money be the issue here, surely not? Cough. And so, Morningside and CEC, you deserve one another. I believe this was more than just a lost small opportunity for a simple sculptural south-facing elevation. This example illustrates the growing power of bureaucracy and technocracy in our society that governs our built environment. The sad facade design has the appearance that a 2nd year university student might produce. This is where design by policy allied with commercial risk gets you. This is also maybe a measure of how far down the food chain the practice of architecture has reached. Instead of zinc that looks like slate why not just use slate? WE are fed up with architects who think buildings should look Mediterranean. not quite sure what looks Mediterranean about this one? I see the dead hand of CEC planners all over this. Interestingly, I think the site was sold by the council conditional on planning with deductable abnormals - such as stone etc. With the loss of an apartment, the inclusion of a shop unit and the increased build cost, they will be lucky to get £50 from the developer. Strange how you can cut your nose off to spite your face and still feel like you did the right thing. Ha. They got 1.2m from them!